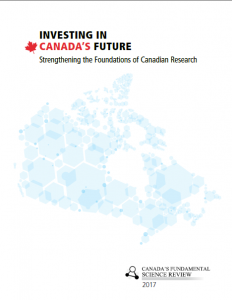 Read and download these talking points about the Naylor report: why support fundamental research, the situation in Canada, the main recommendations of the report, why all Canadians should support the report. The CSMB has made a series of slides about the report. 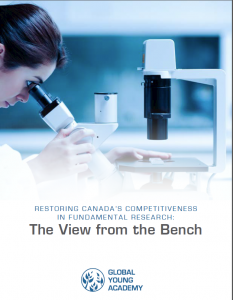 Have you read Canada’s Fundamental Science Review, also know as the Naylor report, yet? 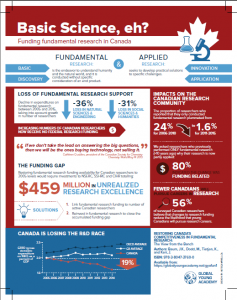 It is available on the sciencereview.ca website. Let’s work together to ensure it is implemented in policy. 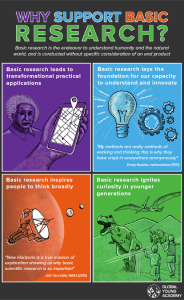 View our resources section for links, infographics and videos! Both these infographics are taken from this report. 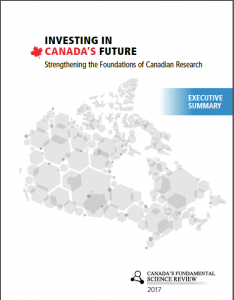 Plan a visit to your MP to talk to them about the importance of implementing the Naylor report.